Hello and happy February my lovebugs! I can't believe we are already this close to Valentine's Day, but I am certainly not complaining about getting to pull out lots of pink and red decorations. 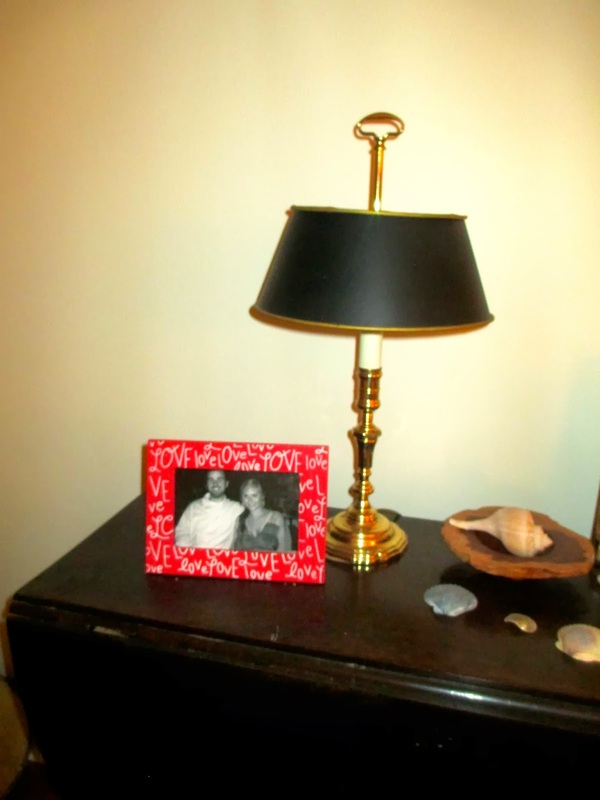 Even as a single lady, I always loved Valentine's day and it is one of my favorite holidays to decorate for. This past weekend Bryce was out of town Saturday-Sunday, so I spent some fun "me time" shopping around for new decorations to add to the mix and then getting the house decorated for his return! That being said, come on in and check out the decorations! All of the decor is downstairs, except this...Bryce and I are all about homemade and heartfelt (rather than extravagant) gifts on Valentine's Day so I always try to come up with something special. This year, I got the idea on Pinterest to do a heart every day in February with something you love about your man. Because I already did "52 Things I Love About You" (see here) our first Valentine's Day, I decided to shake it up a bit and do 14 Days of Memories on the hearts! It has been so fun choosing which special memories to feature. Can't wait to see the mirror all filled up! I've had this wreath since college and absolutely love it! In the past, Bryce has always forbidden me from hanging it on the front door so I've used it as a centerpiece. This year, it finally was approved for front door status and looks so cute! On the mantle I just added some heart garland and blocks I found in the Target dollar section ages ago! The blocks can spell out XOXO, KISS, HUGS, and LOVE! 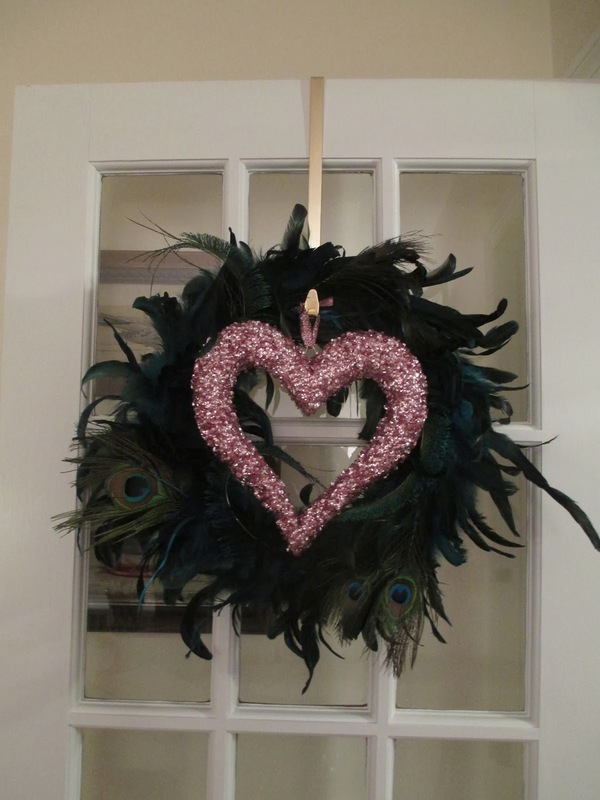 I found this sparkly heart on sale at Michael's over the weekend and love it added to my peacock wreath on the sun room door! I also found this cute felt garland at Michael's over the weekend! I found this table runner at Home Goods and fell in love with it. Once I brought it home, though, I wasn't the biggest fan of it on the table. Last night I added the red tulips, however, and feel like they were the perfect finishing touch! Funny tidbit..notice the confetti on the table? I bought that two years ago before our first Valentine's Day. While Bryce was on a work trip I decorated the house (post here) as a surprise. He loved all the decorations except the confetti...it ends up everywhere! Now I get a kick out of pulling it out every year and always love finding a random sparkly heart on the floor months after Valentine's Day! 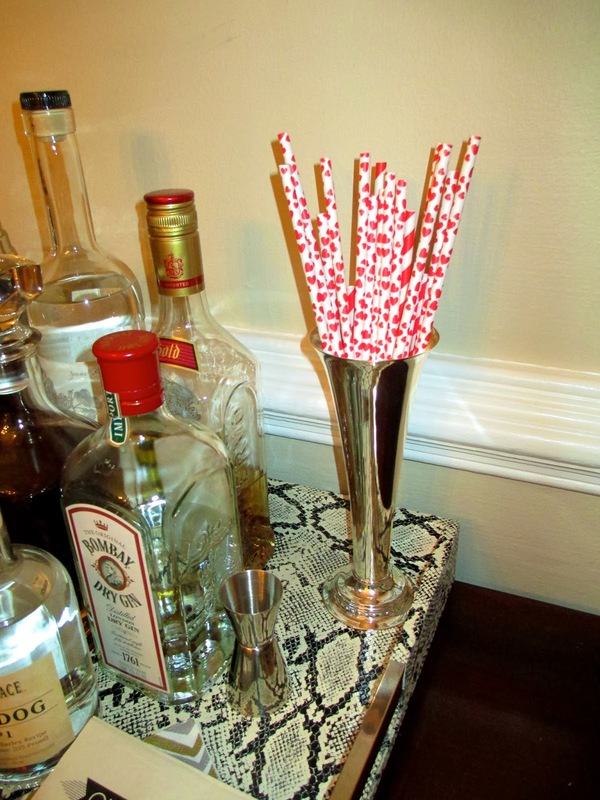 And finally, I added these heart straws to our bar tray in the dining room. I am thinking of getting some pink striped straws to mix in with the hearts! The only thing left I absolutely must get is some candy hearts! I have a cute pink and red striped dish that is just waiting to be filled with them! A lot of the things I found over the weekend were marked down to 40% off at Michael's, so if you're in need of some decor be sure to make a stop there! Do you decorate for Valentine's Day and other small holidays? Any ideas of other decorations to add? Adorable as always! I must hop over to Michaels at lunch today! I adore the table runner and centerpiece. They are so cute! 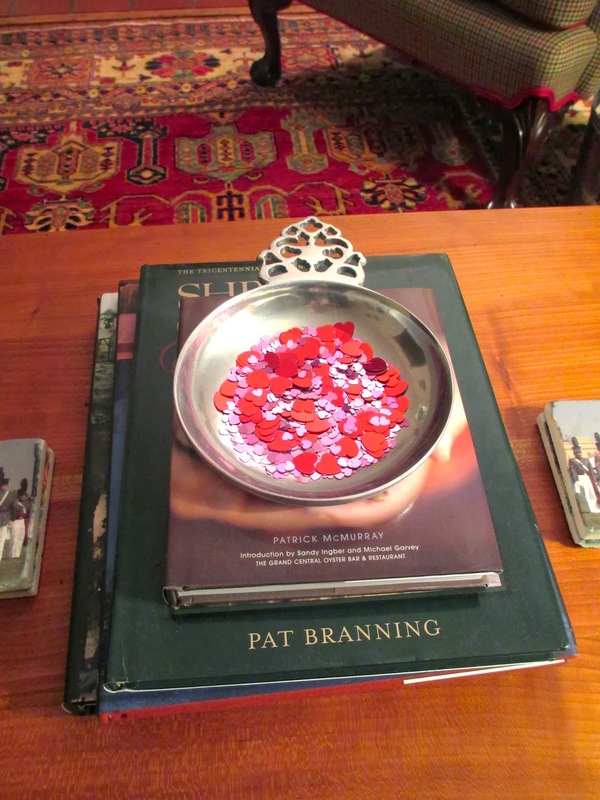 I also love the idea of putting confetti in a dish instead of candy. love it all! I think Valentine's Day is so fun! 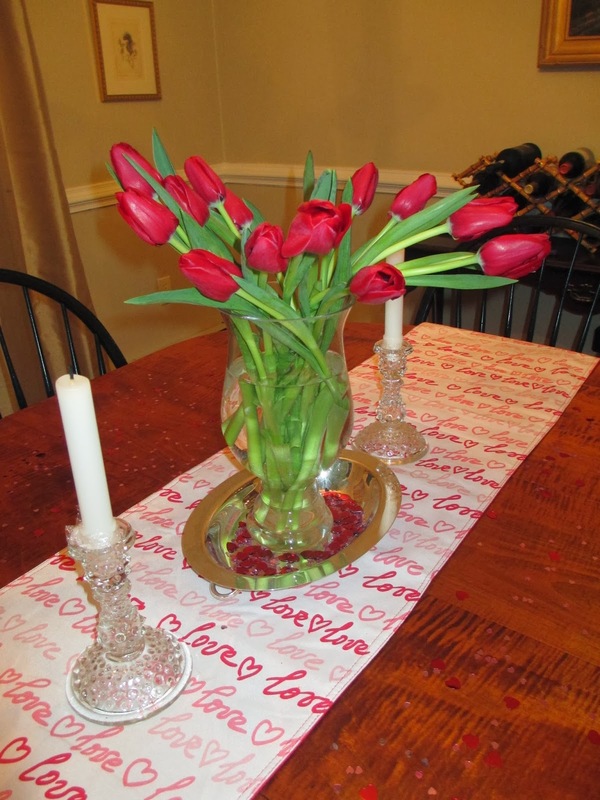 How cute are you with your v-day decor! Adorable!! 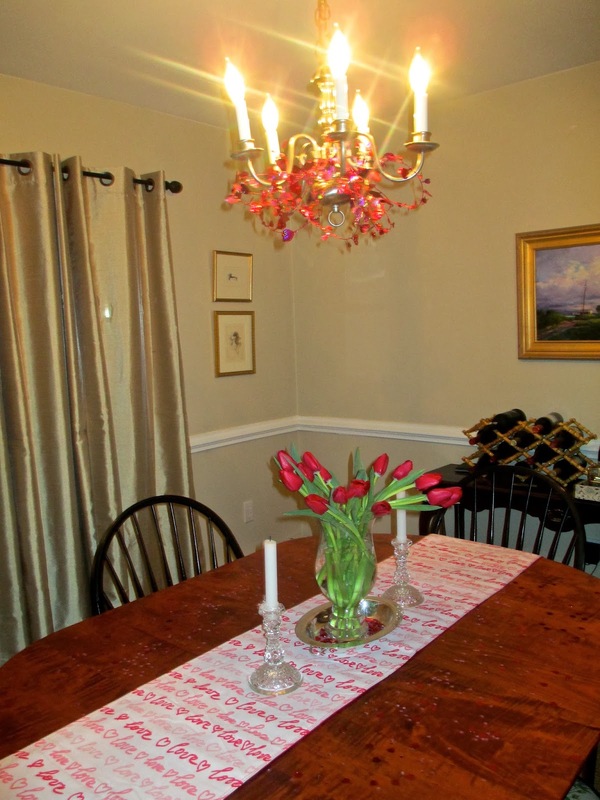 I love the dining room, although you have so many sweet touches for valentines day!! 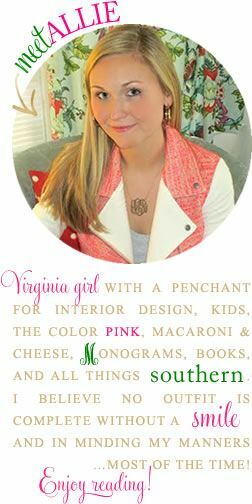 I have that Martha Stewart sunburst mirror. How cute to add hearts to it with things you love about each other! As a countdown to V-day, I've been hanging a heart with something I love about my son on his door each night for him to see the next morning. I'm also doing the same thing on my classroom door for each of my students. And love the tulips! 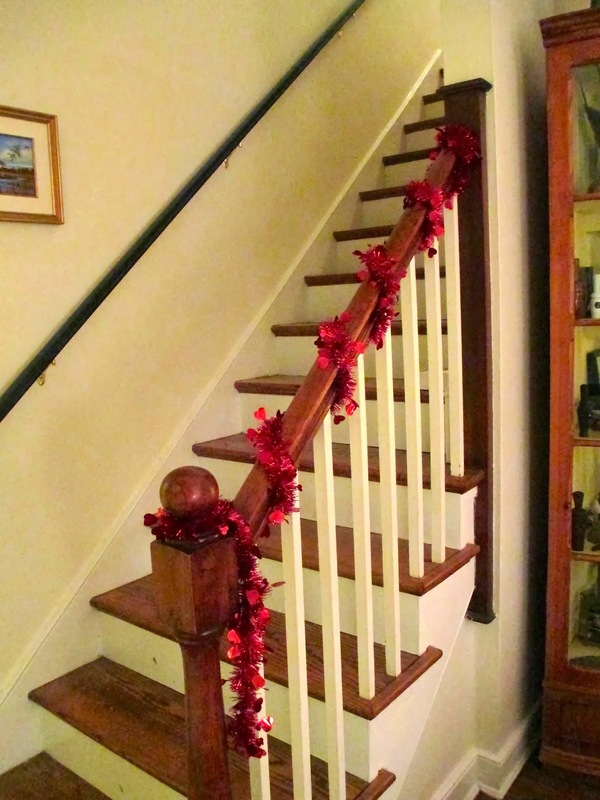 I love the holiday decorations and really need to add some more to my house. Your garland is so cute! I feel like my house is so bare compared to yours. I really need to set up my holiday decorating. 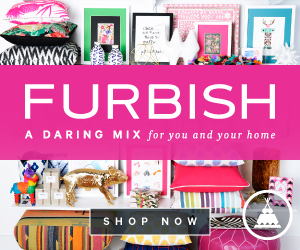 You do holiday decor so chicly! I love how you work it in and make it just look like it belongs perfectly!